It must be horribly frustrating to get the chance of a good job but not be able to take it because you don’t have the car you need. There are many different types of work which require you be able to drive, from obvious ones like a travelling salesperson and taxi driver to ones where you simply can’t get to the place of work on public transport. If it is potentially your first job or you have been out of employment for some time then you won’t want to see your chances scuppered because of a lack of a vehicle. In this situation it could make a lot of sense to take out a loan to get the vehicle, provided that you feel that the job is secure enough for you to feel confident about paying back the loan. A bad credit history doesn’t have to stand in your way either as sites such as FairSquare* can help you get the finance you need even if your recent credit record isn’t as great as you would like it to be. If your current car is looking past its best then it is probably time to upgrade it. What happens, though, if you simply don’t have the cash to buy a newer one? If you need to drive for some reason then the chances are that you will just have to carry on with the old one. This could mean driving a vehicle which is unsafe or which is going to cost you a lot of money in repairs. It could also mean losing a lot of time and getting a lot of hassle if it breaks down at some point. Again, this is another occasion where you might want to look at car finance in order to be able to buy a newer model. A newer car can work out a lot better in terms of repairs costs and running costs, as well as often being more fuel efficient too. In the long run, you could find that it is a good financial decision to upgrade to a more modern car with the help of a loan. 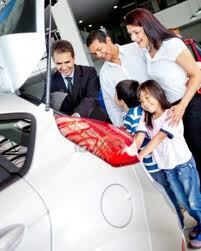 Finally, a growing family is another very acceptable reason to look for a new car. The arrival of a new baby is sometimes the moment when a decision has to be made to upgrade to a bigger, more sensible family car. This is a decision which some people find is difficult to make, as they have grown used to driving their current car. However, if it is in the best interests of your family then you won’t want to delay too long before going ahead. In these cases, you might be lucky and find that your current car has enough value in it for you to get a new one without spending too much extra on it. However, if you need a loan then it is worth getting it done right away and moving onto the next, exciting phase of your life with the most appropriate vehicle. Sometimes interests are so low the car finance is worth it too. Getting 0% or even under 3% would be ok in my book. I have to disagree with Pauline. Even if the interest rate is at 0% or 3%, this usually means you are purchasing a new car. I’d recommend a 3-5 year old car to avoid the large loss of value as soon as its driven off the new car lot. If you are certain that you need to buy a car, and can obtain financing at a very low rate (under 2-3%) and are not buying new instead of used just because you can get the credit, then financing a car may be a good idea. However, there are many, many pitfalls to avoid. Thanks for the comments MS. It is definitely a decision not to be taken lightly. I’m not a big fan of car financing, but if I had to have a car to get to work and I didn’t have enough money to pay for one up front then I would be sure to search around for the best possible deal of car financing. I would love to be able to pay cash for my next vehicle…..I think as a society we’ve fallen down the trap of thinking that a car is such an expensive of an item that you HAVE to finance it. Not true! Just like any other financial goal, paying cash for a vehicle just takes planning, dedication and hard work!